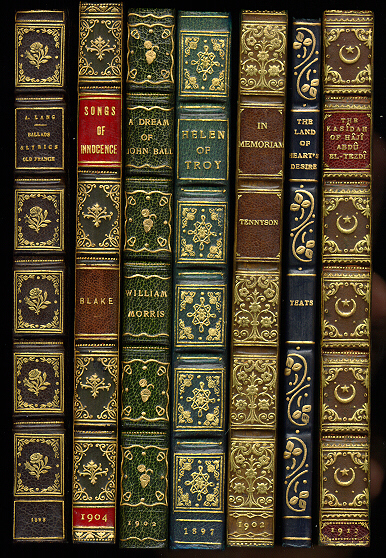 In this connection it may not be inappropriate, or devoid of interest, to mention the fact that American and foreign binders have chosen many of these books whereon to lavish their skill. 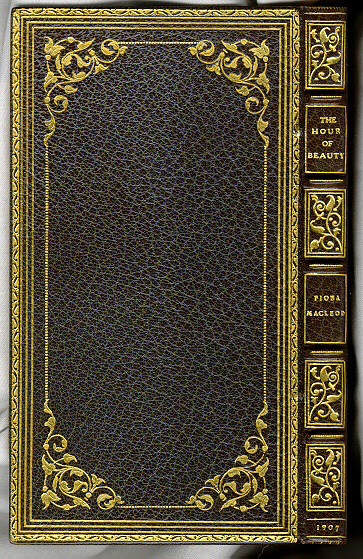 In America, Mr. Otto Zahn, the Misses Nordholf and Bulkley; in London, Miss Prideaux and the Guild of Women Binders have re-clothed in exquisite bindings not a few of the special copies of Mr. Mosher’s editions. 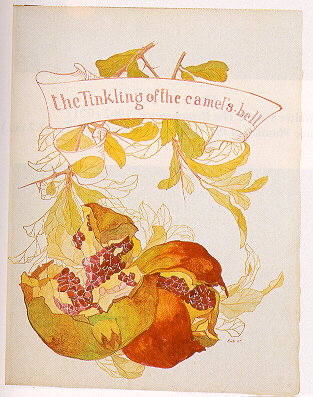 The Tinkling of the Camel’s Bell – E.M.S. 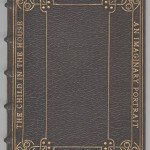 Yet another way, popular in the 19th and early 20th century, was to extra-illustrate or illumine them. 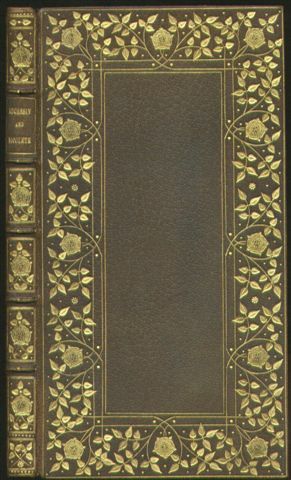 Illumination could mean just coloring the title page and the head- and tail-pieces, or more elaborate productions of flowers, mini-scenes, and full-page illustrations. 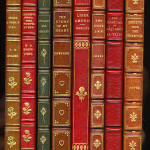 Mosher himself encouraged the illustration of his books, either by announcing in his catalogue that a certain book had ample margins for adding illustration, or by corresponding with persons interested in illuminating as a hobby, for special presentation to a loved one or friend, or for some remuneration. 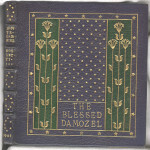 Work like this was done on a regular basis on the early Roycroft books; however, unlike the Roycroft Print Shop, Mosher never hired a team of illuminators to carry out the work. 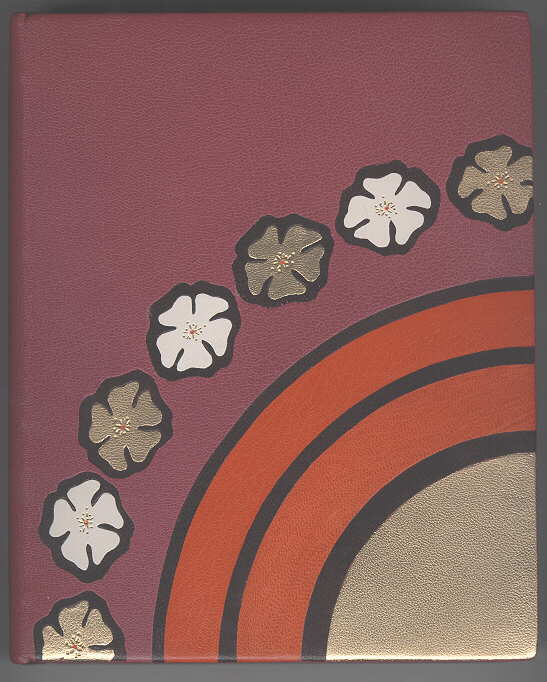 Independent parties were involved, and examples of illumination can be seen on books decorated by Rookwood artist, Clara Chipman Newton of Cincinnati, and yet another illuminator of a 1905 Kasidah only known by the initials E.M.S. (see image on left), or by a Mrs. Kate Townsend of Milwaukee, Wisconsin, with whom Mosher discussed extra-illumination through his correspondence with her. 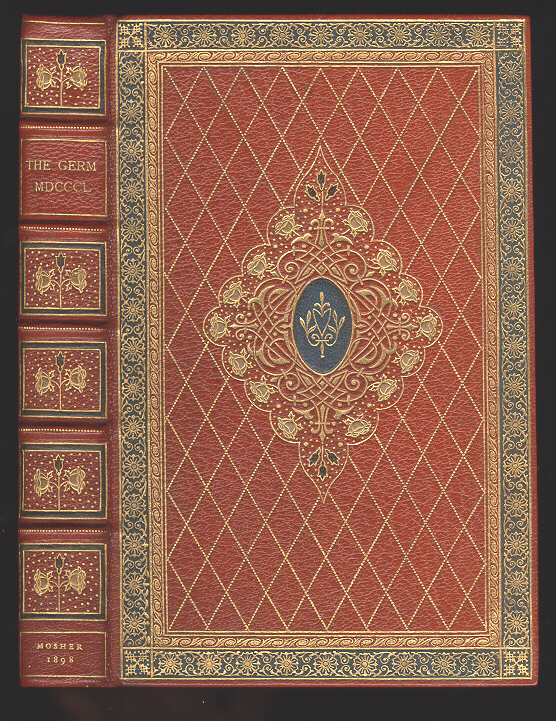 In 1906 the Grolier Club held “AN EXHIBITION OF SOME OF THE LATEST ARTISTIC BINDINGS DONE AT THE CLUB BINDERY.” The Club Bindery was set up by a select few members of the Grolier Club to bind their most precious books following the finest standards of European binderies. 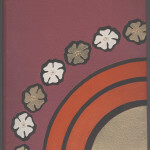 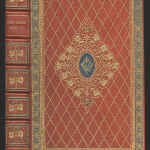 Mosher was a member of the Grolier Club since December 1895, and eight of the one-hundred thirty eight bindings exhibited were on Mosher imprints-more than any other American publisher represented at the exhibition. 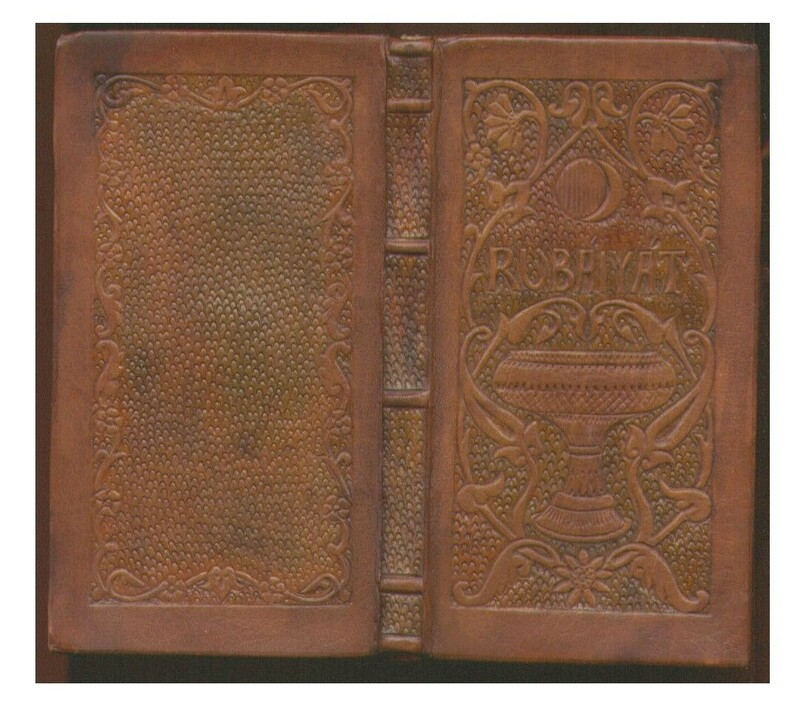 Most bindings were very limited editions (fewer than ten) on Roman vellum, and belonged to Henry William Poor. 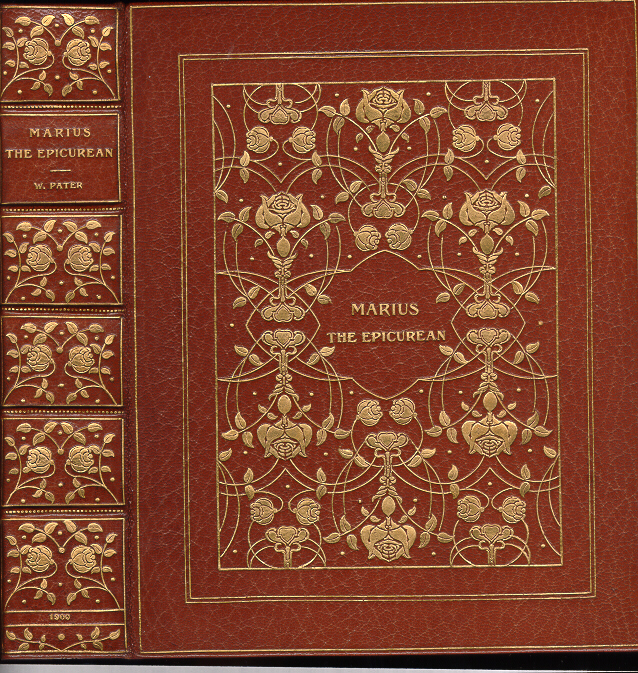 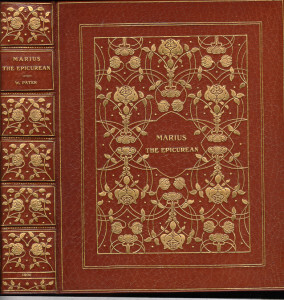 TOOF & Co. exhibition binding on “Marius the Epicurean”; Mosher, 1900; Copy No. 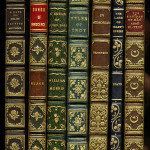 3 of 4 printed on vellum. 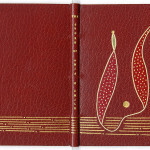 I also send you some photos of binding done by Mr. Otto Zahn. 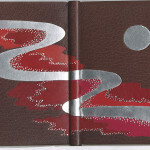 You will see an article on his work in Scribner’s Book Buyer for March. 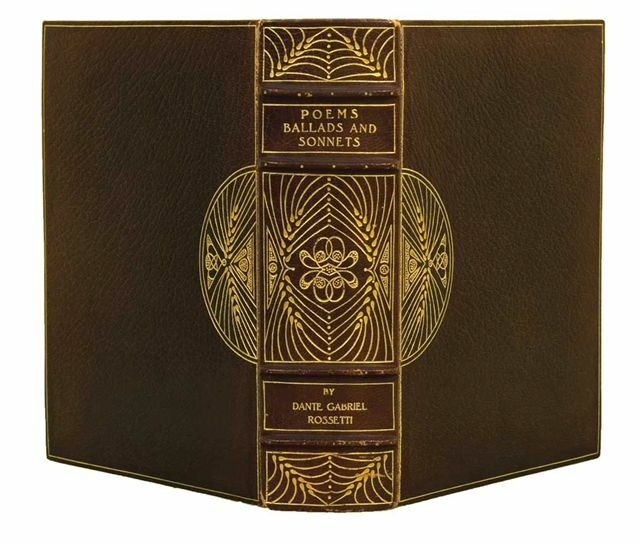 I have written him giving your address, and hope if you decide to bind the set, you will permit him to do it for you-in part at least-as I believe he is without an equal on this side the waters. 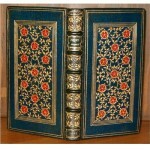 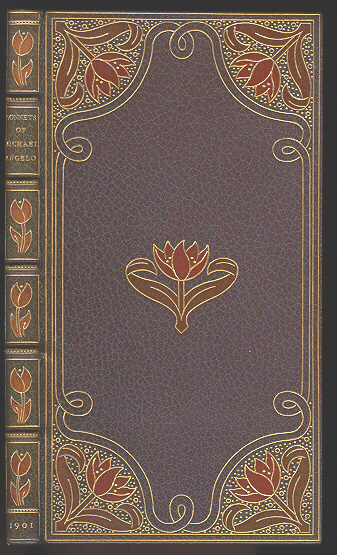 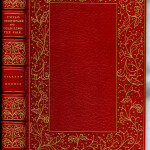 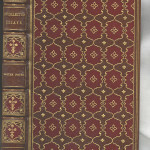 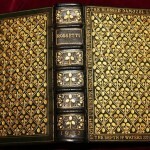 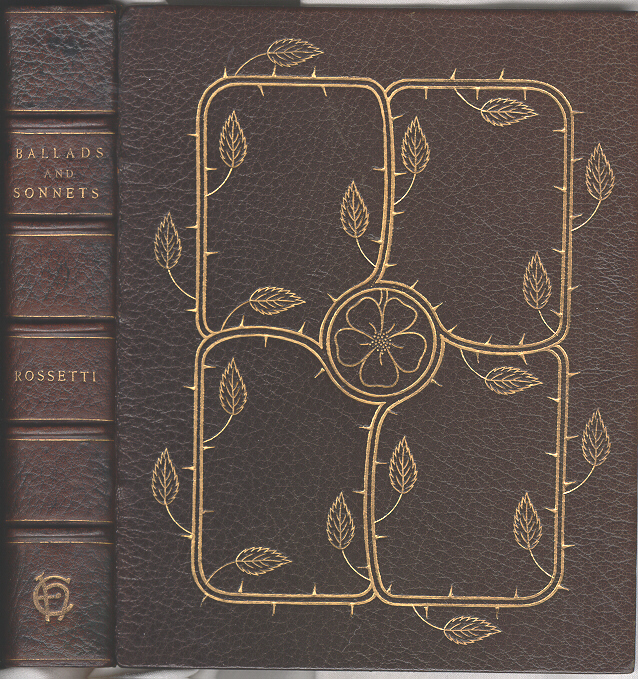 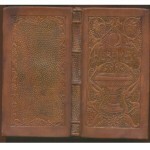 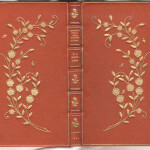 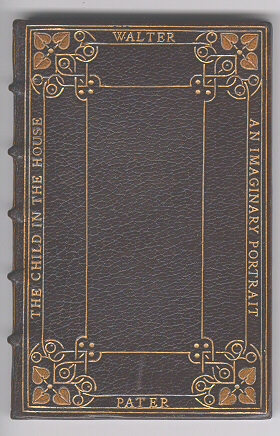 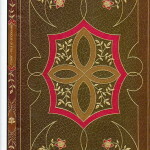 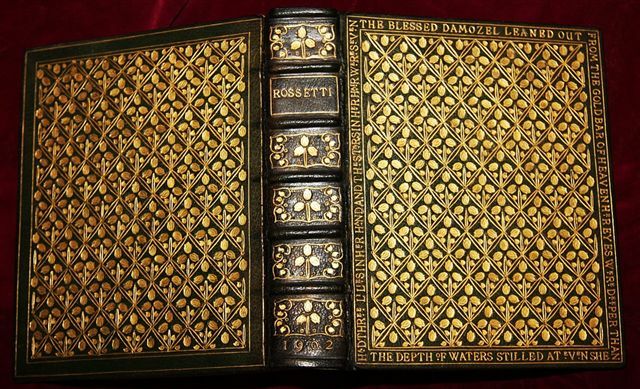 Zahn also operated a bindery in Memphis under his own name and hired other binders, one of whom was Lorenz Schwartz who did unusual finishing for the period as exhibited in this binding combining Rossetti’s Poems (1902) and Ballads & Sonnets (1903) in a single volume using a wheat design including a goffered edge design. 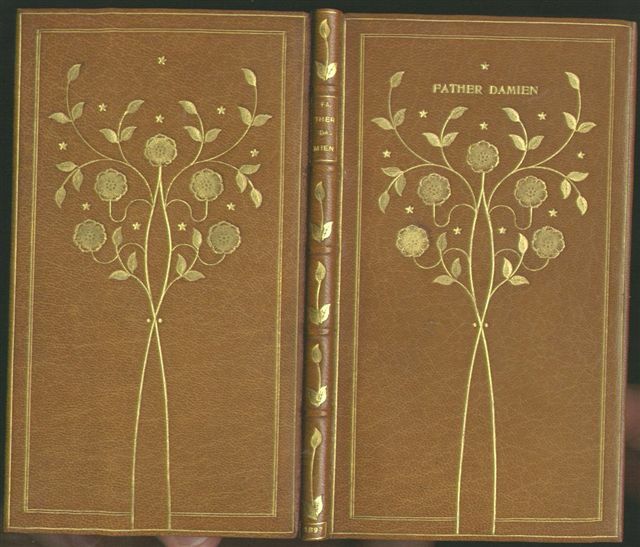 This style contrasts vividly with Otto Zahn’s own work as further exemplified by his finishing on Father Damien and Aucassin & Nicolete. 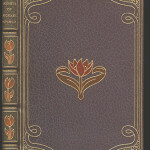 Various “job” binders entered the picture, and many Mosher books were bound in 3/4 morocco by English and American firms for the retail market. 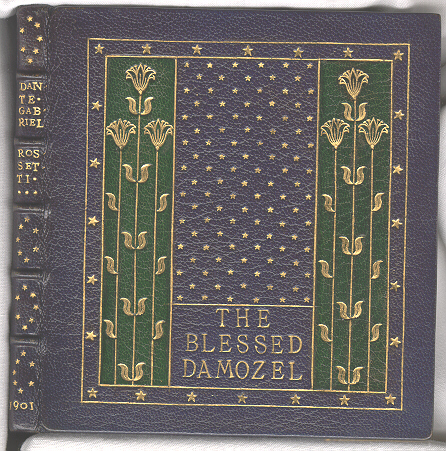 Zaehnsdorf, Hatchards, Sangorski and Sutcliffe, and R. R. Donnelley all provided elegant dress for the Mosher books. 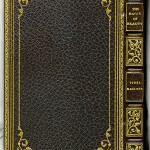 Such firms as Boston’s Rose Bindery, J. W. Meyers, Chicago’s Monastery Hill Bindery, and New York’s MacDonald’s Bindery also provided bound Moshers for Brentano’s, Putnam’s and the Lord and Taylor bookshops, especially for the holiday seasons. 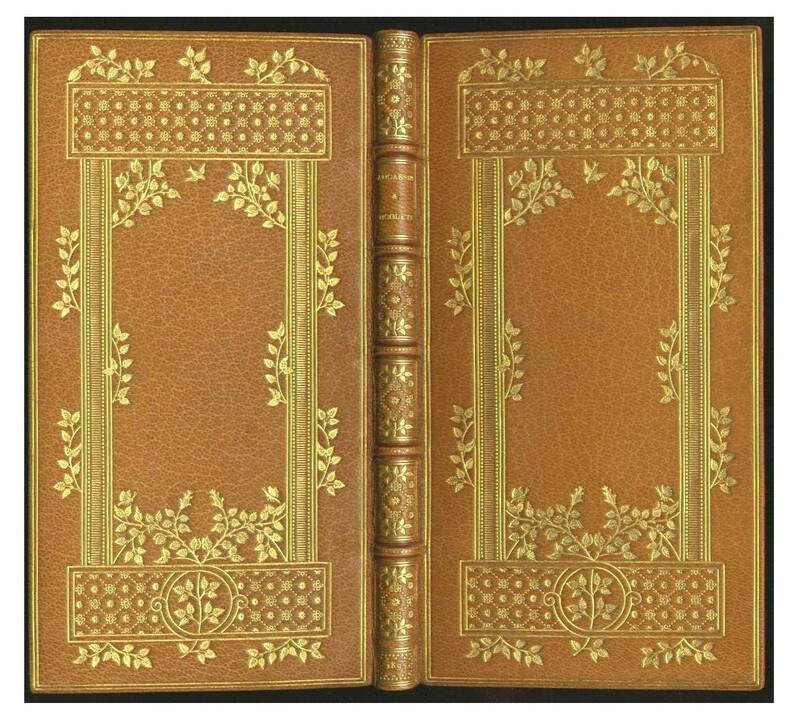 During the late 19th century and early 20th century many women turned to bookbinding as a creative outlet or money making venture. 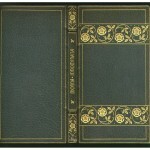 The Mosher books were ideally suited for these binders and numerous examples exist. 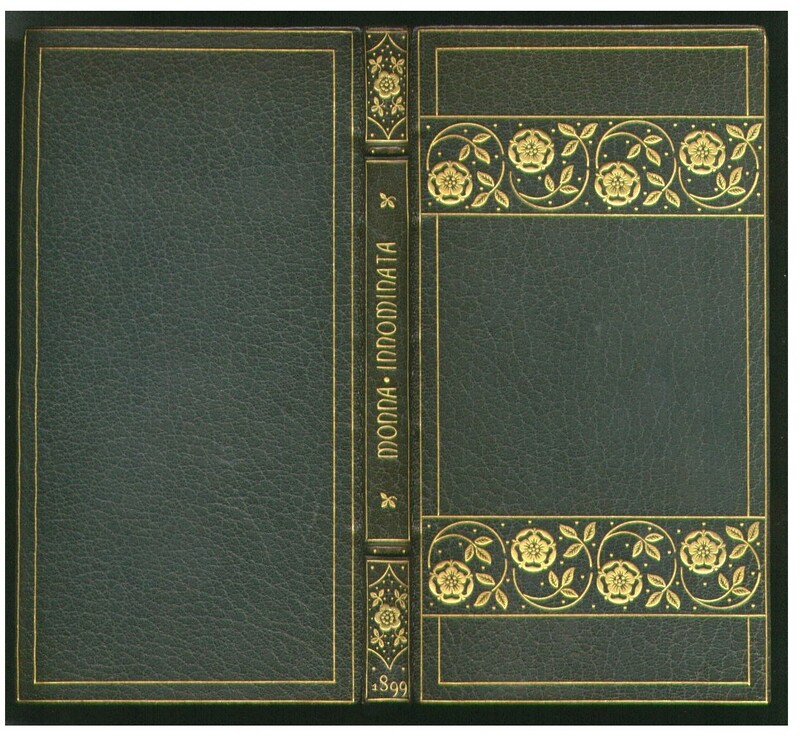 The standard reference for these binders is Marianne Tidcombe’s Women Bookbinders–1880-1920 (Oak Knoll Press & The British Library, 1996). 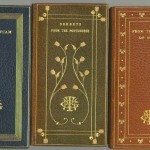 Here are a few examples of bindings by women placed on Mosher imprints. 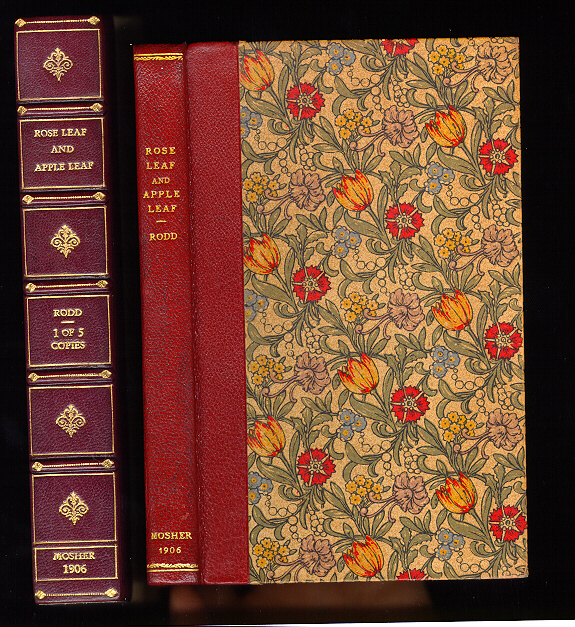 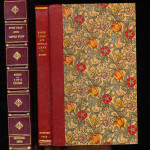 Included are bindings by Florence Foote who studied under Cobden-Sanderson of the Doves Bindery, Elizabeth Utley (later Thomas) who studied bookbinding along with Rachel MacMasters Miller (later Hunt) under Euphemia Bakewell who was also a student of Cobden-Sanderson’s, and L. Averill Cole, a California binder who studied under Louis Jacobs and Joseph Hendricks in Brussels, and who later became the head of the hand bindery at Houghton Mifflin’s Riverside Press in Cambridge, MA. 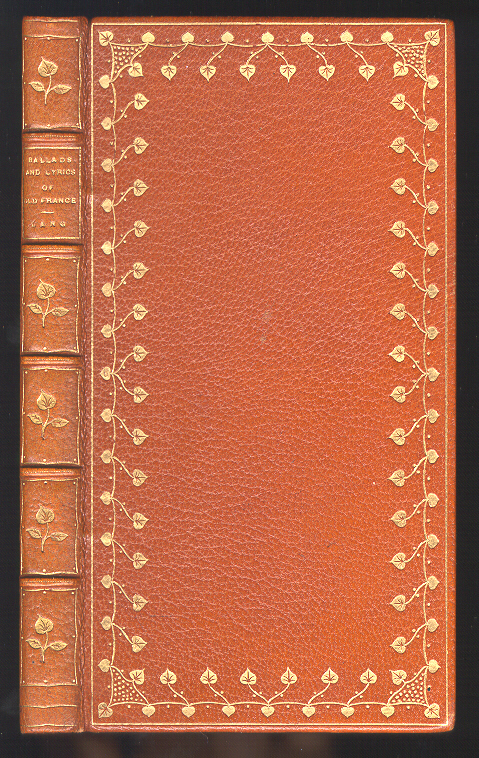 Another women who most certainly trained under one of Cobden-Sanderson’s students was Gertrude R. Andrews (Mrs. Frank M. Andrews), an original member of the American Guild of Book-Workers and whose binding work is very much in the style of a Doves Bindery. 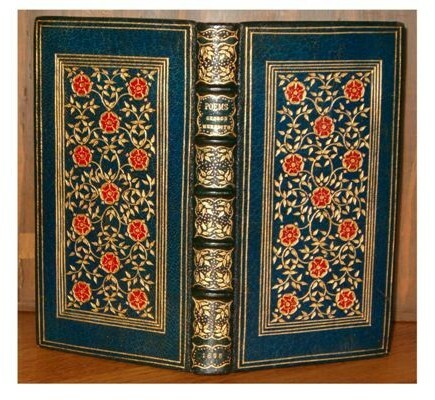 There is also a binding by Mary Stuart Kernochan of New York about whom little is known. 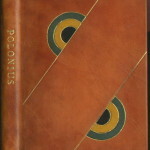 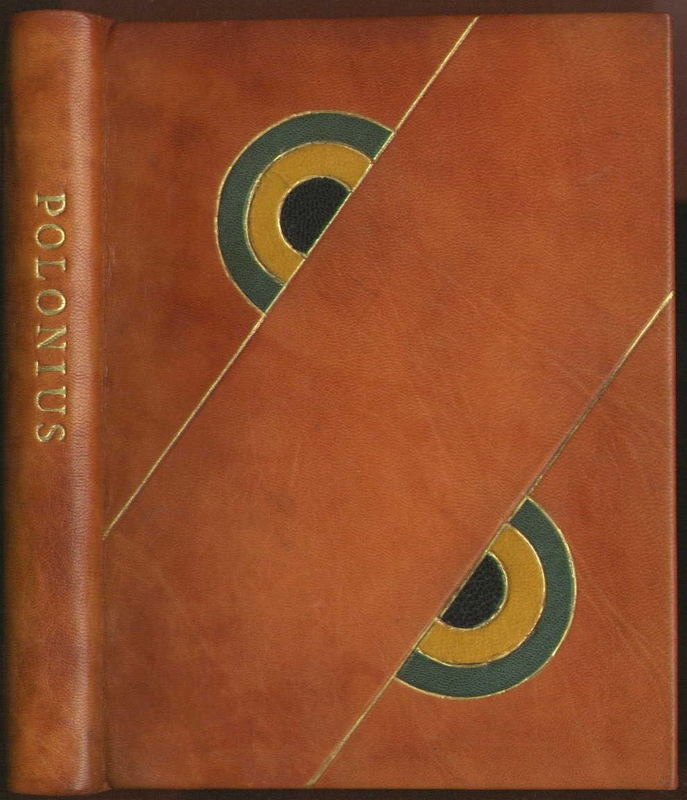 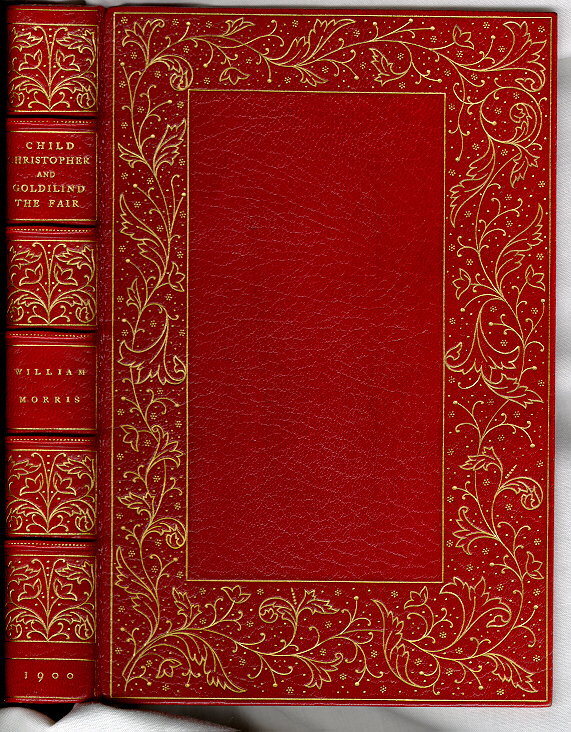 The collection even includes the noted Mosher collector’s wife, Charlotte Strouse (wife of Norman Strouse) in a binding on Mosher’s edition of Polonius she bound for her husband’s “Ladies in My Library” exhibition in 1968. 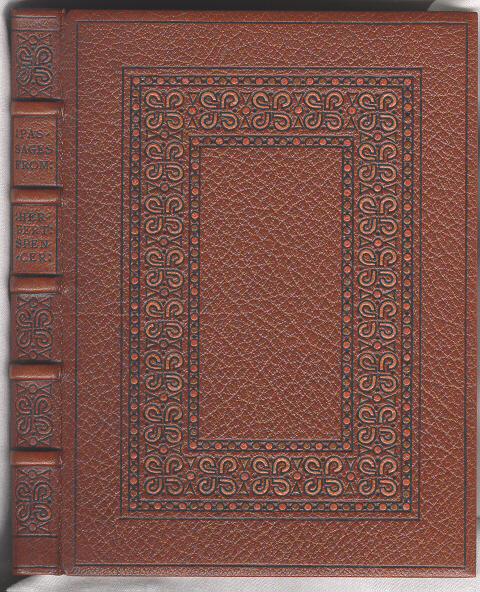 Examples are here provided from the Knickerbocker Press Bindery of NY, Stikeman & Co of NY, the Harcourt Bindery of Boston, Bogadus, binder to the Huntington Library, and an unattributed but striking example. 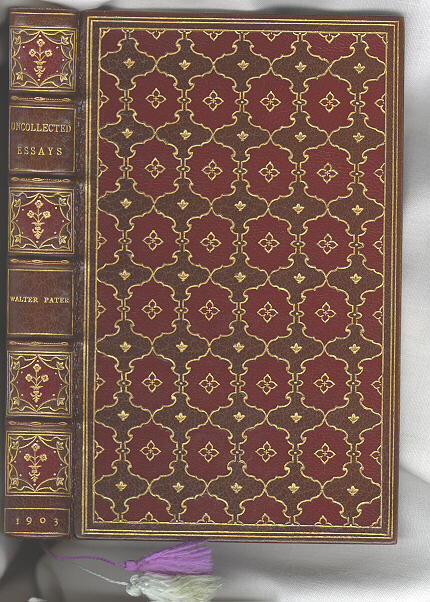 Of course select English and American binders would also provide some of their best dress on Mosher’s books. 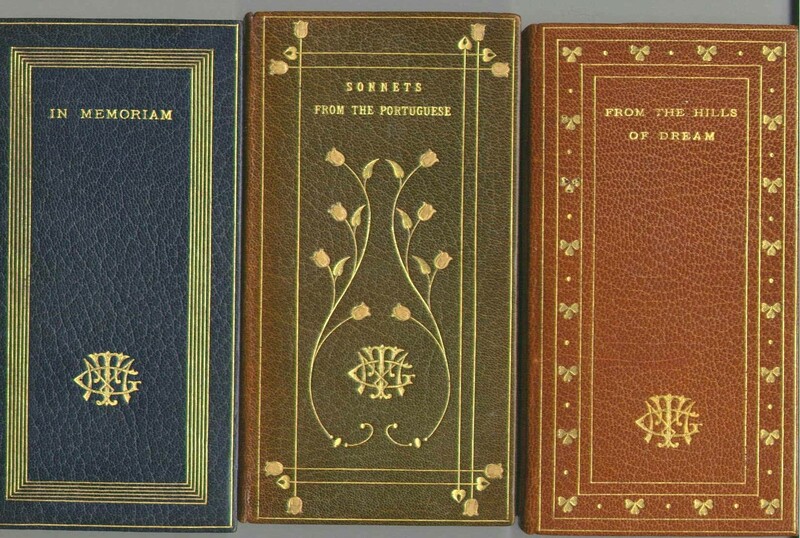 Four examples of such include Leonard Mounteney’s binding of a vellum copy of The Germ (1898), Lucien Broca’s exquisite work on The Sonnets of Michael Angelo (1901), and a charming binding on Pater’s The Child in the House (1902) by Peter Verburg, protégé of Ellen Gates Starr, and Fletcher Battershall. 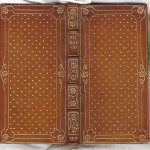 In some cases an owner would have his or her personal monogram incorporated into the binding’s design. 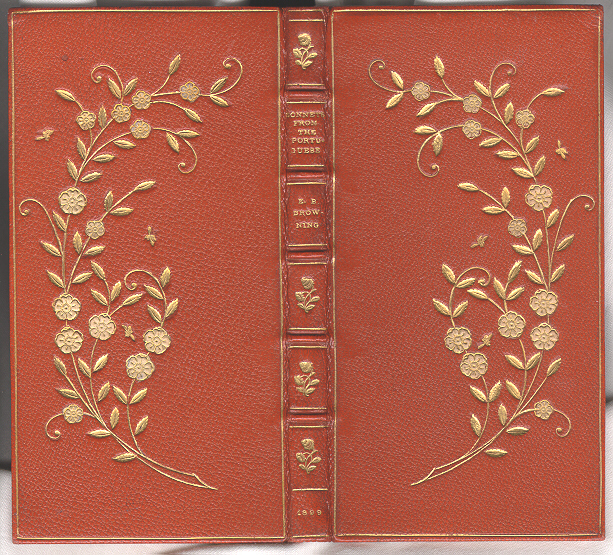 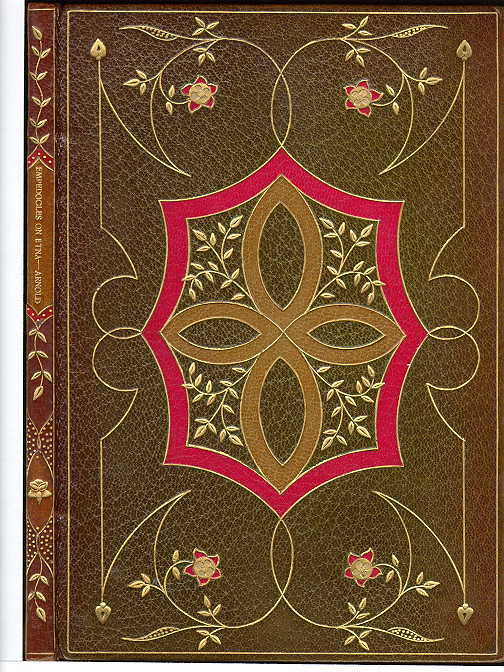 An example of this is the work done for Grace May Terwilliger by the Laundner Bindery of New York. 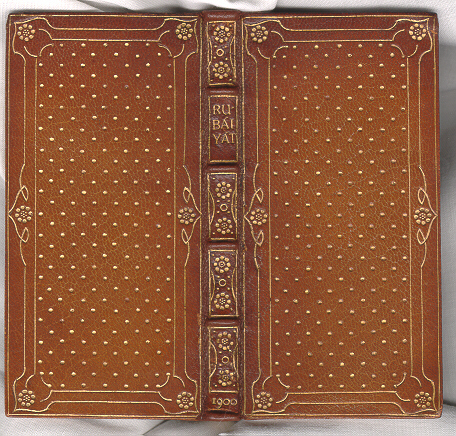 There is even an unusual example of a modeled binding on the Rubáiyát. 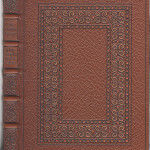 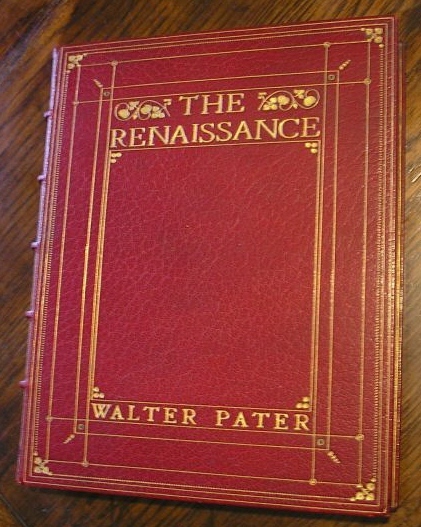 Numerous modern artists in the books arts have provided bindings on Mosher books, among them being George Baer of the Cuneo Press Bindery, William Anthony, Micheline Bellefroid of France, Bruce Plumley of the Eddington Bindery, Jamie Kamph of the Stonehouse Bindery, and Roger Powell–the great English binder. 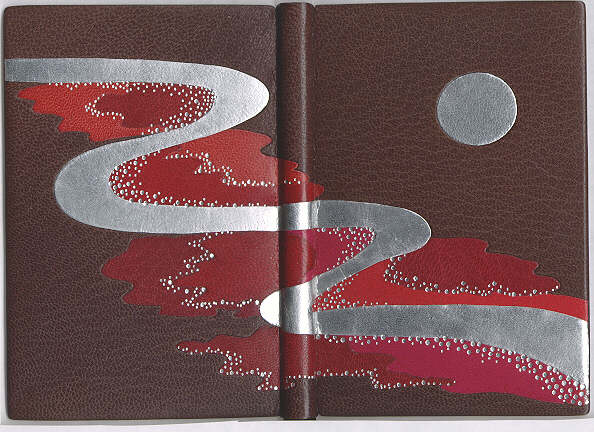 The following contemporary binders exhibit the work of the internationally acclaimed Swiss artist, Hugo Peller, and that of one of his students, Silvia Rennie who also became an accomplished and recognized binder. 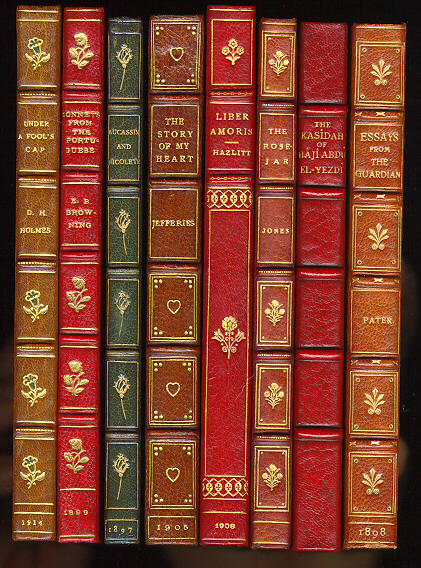 The bindings appear on Mosher’s editions of The Story of Amis & Amile (1899) and on Baudelaire’s Poems in Prose (1909), bound by Peller and Rennie respectively. 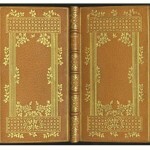 Both bindings are located in the Bishop Collection (the front cover of yet another Rennie binding on D. G. Rossetti’s Poems ). 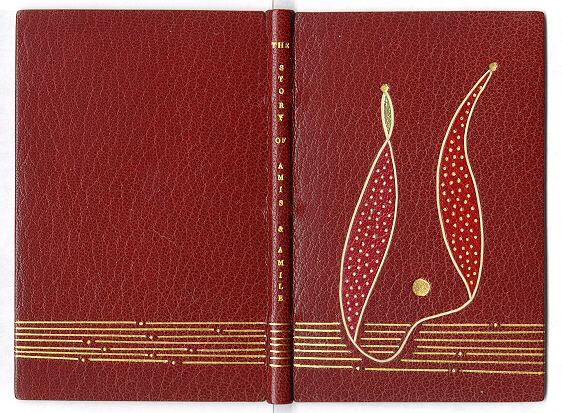 Modern binding on ” The Story of Amis & Amile” (1899) by Swiss contemporary artist Hugo Peller.